# I wanted to briefly revisit a previous post in order to update the graphics. 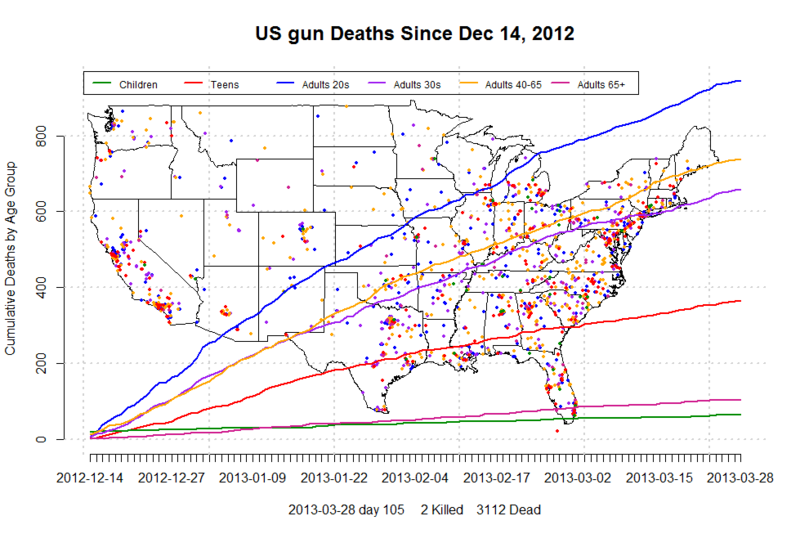 # The code used in the previous post has also become more useful since the database of guns deaths has tripled since the original post (yay!). # If you would like to generate your own graph, make sure to use the r code attached to the original post rather than the original post. 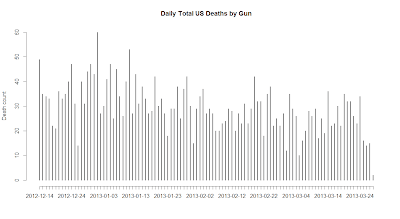 # We can see a steady decline in gun deaths. I am not sure what is driving this exactly. 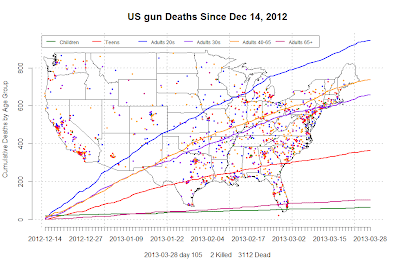 I suspect maybe a decrease in gun suicides due to the winter coming to an end is driving this though I think gun deaths will rise as murders start increasing during the summer months. Hey Francis. I really liked your post. 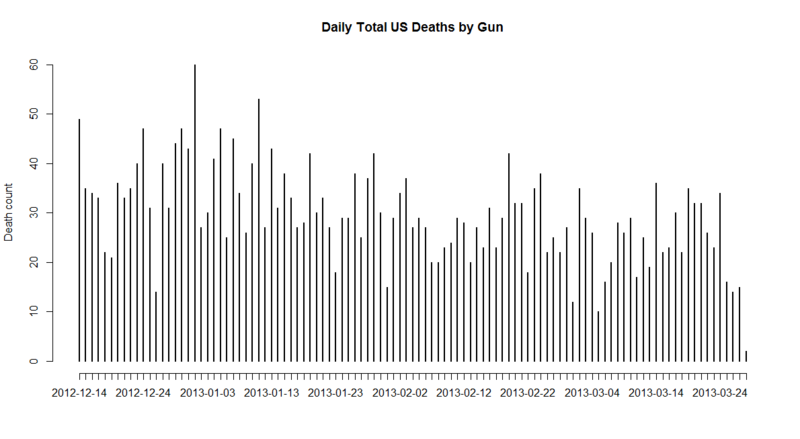 I have always wondered if it was possible to produce animated graphs in R, and now I see there is a way. This would definitely simplify the look of your code, as well as the execution since you wouldn't be using as many for-loops. Honestly, I still feel very new to R and all tips and suggestions help.